I’m sharing this for my zombiriffic author friend Jean Booth! 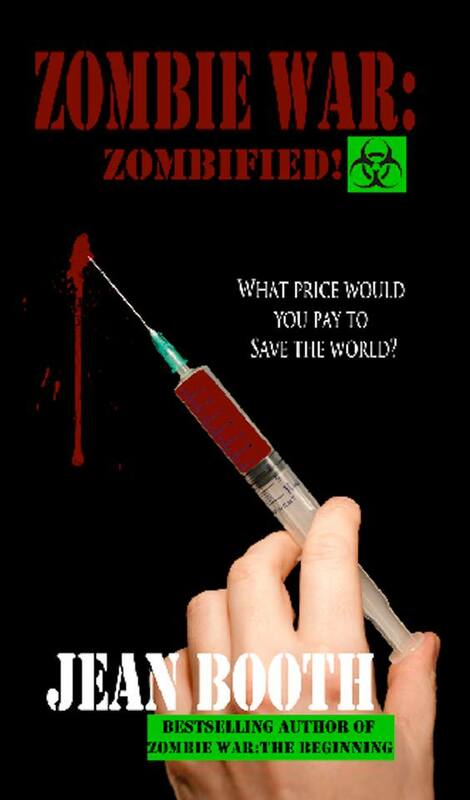 Celebrate all that is zombies with her new book, Zombified! Join us on Friday, June 21, for the release of Zombie War: Zombified, the final in the Zombie War Trilogy by Jean Booth! Supporting her brother during his experimental treatments, Jessica finds herself betrayed by the one person she loves more than anything. Now she’s forced to either give up, or find a way to survive with what he’s done to her. Craving things she never imagined, her body has transformed into a killing machine, bent on consuming the one thing she can’t live without – brains. Aboslutely! I will be there!